No one wants to get hacked, but the reality of our online environment means it will likely happen sooner or later if we don’t follow the latest cybersecurity tips. This month’s Tech Tips focuses on keeping your information safe to stay ahead of hackers. Keep reading for important tips that will help you stay secure. Many of us are guilty of reusing the same passwords for every login, and continuing to use the same passwords for years. We know better! But how do you come up with a really strong password for each login and remember it? That’s where password managers come in. 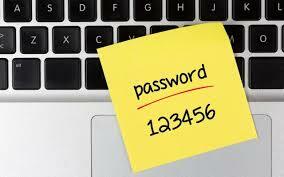 Use a password manager to ensure that you always have difficult-to-hack passwords. We offer this service as a part of our managed service bundle. Regularly updating your systems and software will help to patch security holes. These automatic updates, whether to your phone, tablet, or computer, often contain bug fixes that will protect your system. We offer automatic patch management on a schedule that works for you, so you don’t even have to think about it. Phishing scams are the best way for hackers to obtain your login information. Whether through emails or texts, phishing scams will mimic a trusted sender and prompt you to enter your username and password, or install malicious software that will spy on you. Make sure your email’s spam filters are strong enough to filter out suspicious communications, and never click a link from someone you don’t know or trust. Using an outdated operating system will leave you vulnerable to hacks. It’s much easier for hackers to target older systems that don’t have the latest security patches, and the longer an operating system is on the market, the more vulnerabilities are likely to be found by hackers. Ask us about upgrading your OS. Make sure your web browser supports https – a more enhanced security protocol for websites. Never input personal or financial information on a website that doesn’t show “https://” in the address. Many browsers will display a green lock or state “secure” in the address bar, or give you a warning if a website is vulnerable to attack. We recommend using Chrome, Safari, Firefox, and Edge. Also, make sure you keep your browser up to date! Two-factor authentication may seem like an annoyance, but it’s the best and easiest way to prevent malicious log in attempts. Ask us about how we can implement two-factor authentication for you today. Call us at 970.373.5428.